Dateline: 1999. A 12-year-old Jeremiah Rice spends every cent of his allowance at the local Pizza Hut's dingy game room, trying to perfect an S-Class run on the brand new Crazy Taxi arcade unit. Another fourteen years have passed, and SEGA's ode to irresponsible driving isn't exactly the technical marvel it once was, but it's every bit as fun. And a single fiver will let you play as much as you want on Android. 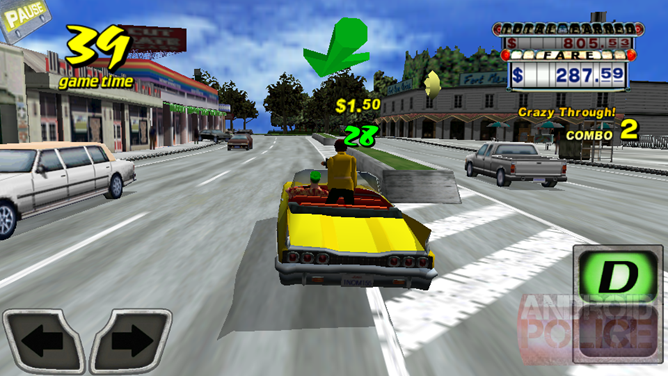 Crazy Taxi is from a different age, before sedate casual games were the norm. It laughs at the idea of realism, driving by new features like bump-mapping and realistic physics engines, giving them the finger as it power drifts over a drawbridge. It's charming in the same way that the original Rampage and Street Fighter were: no pretensions, no compromises. Just a challenging game that strives to entertain. If you hate all driving games with a burning passion, stay away from Crazy Taxi. But if you've ever had fun with an arcade racer or you've been harboring Dreamcast nostalgia for the last decade, go buy it right now. 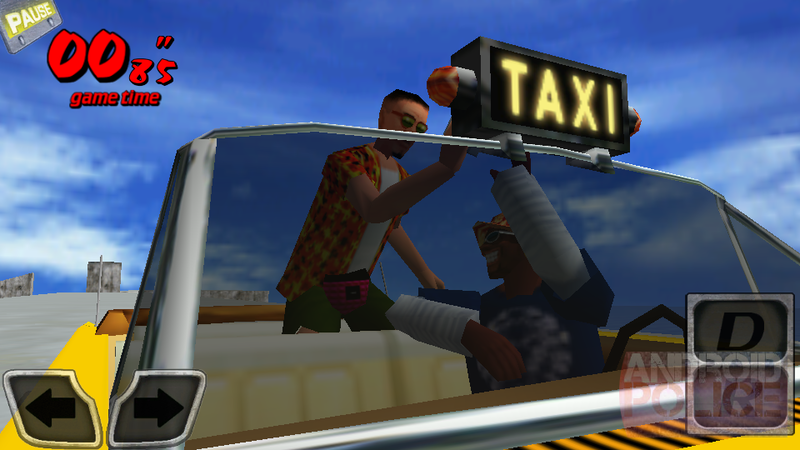 Crazy Taxi is based on a only a few simple ideas. You traverse a 3D version of San Francisco, looking for pedestrians who need a cab, represented by a circle and a floating dollar sign. 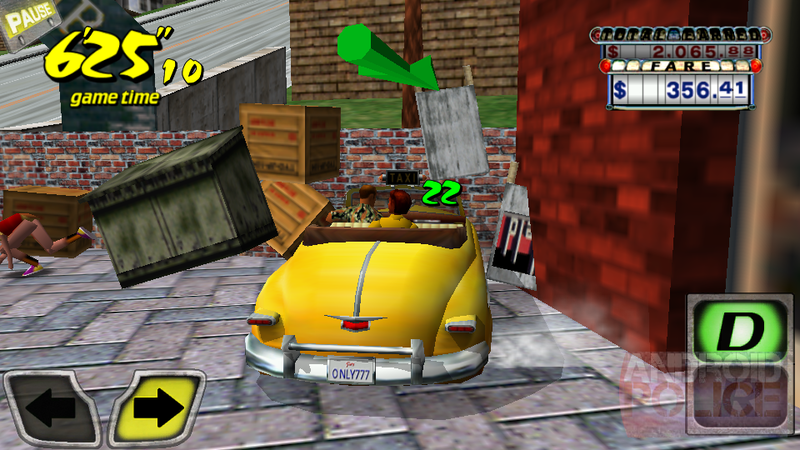 Stop to pick them up, then drive like a maniac to their destination while being guided by the vague arrow overhead. Do so quickly, and you're rewarded with extra time and money. Drive slowly, and you'll get no tip and no time bonus - your passenger may even hop out, meaning you lose the fare altogether. Once you've finished a run, find another one, then rinse and repeat until time runs out. Like a lot of ostensibly simple games, there's quite a lot of finesse to it. 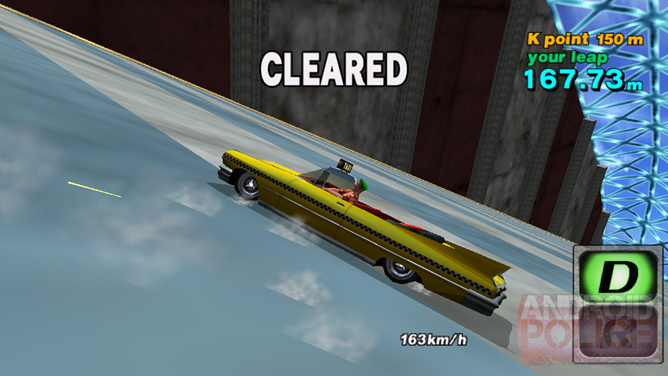 First-time players will be surprised to find that driving like a destruction derby contestant is not the best way to go about it: skillfully navigating traffic will get you to your destination faster, and close shaves, jumps, and dramatic drifts will net you extra tips. Once you've got the basics down, it's all about memorizing the maps and the various locations - following the arrow is not always the best way to proceed. There's even a good bit of strategy involved in timing out your run. Veteran players will know the tricks: drift into a wall to stop, making sure to aim it so that you're picking up a new fare at the same time. The maps themselves may be the best part of the game. 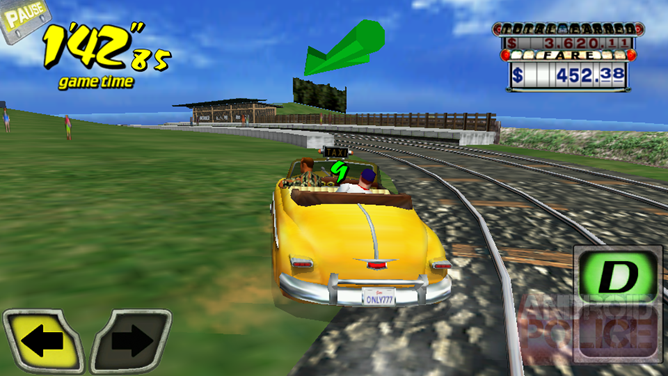 All the zany locales of the original are present (minus licensed locations like KFC) and the level design is rife with opportunities for drifting, jumping, and terrorizing Bay Area citizens. But even more importantly, you'll have to navigate the hazards with skill for the best results. Making a wrong turn or an overenthusiastic drift in the wrong place will cost you a bonus or a fare. 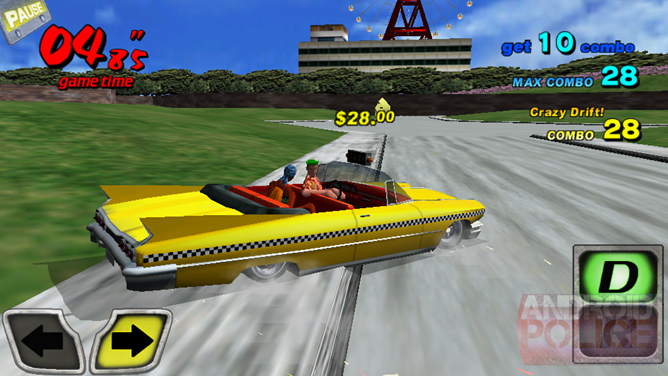 Make no mistake, Crazy Taxi is a hard game, though most players will find that the difficulty curve is proportional to their time investment. 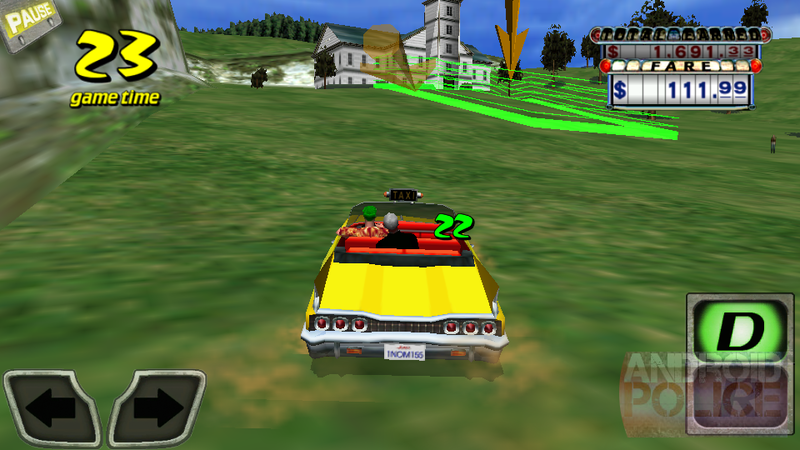 The Android version of Crazy Taxi includes all the features of the original Dreamcast arcade port: two huge city maps to drive around, four characters and cars (all of which handle the same) and a collection of 16 mini-games to hone your skills. 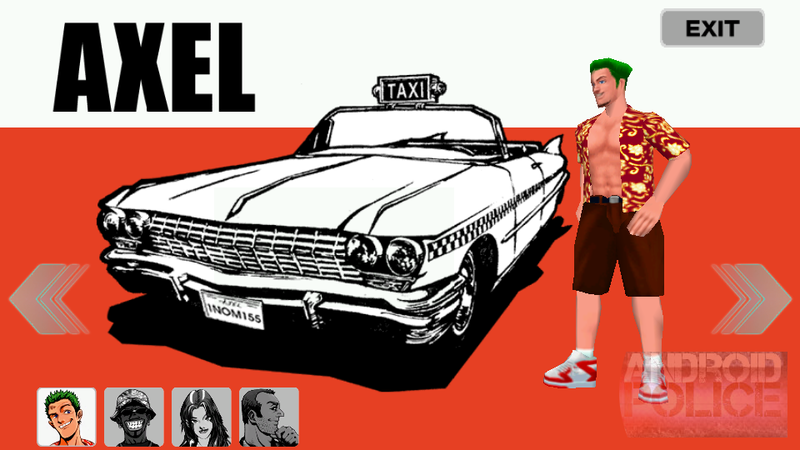 While I wish some of the more colorful characters and abilities from the Crazy Taxi sequels could have been included, there's more than enough content here to justify the $5 price - keep in mind, this game was $50-60 when it launched thirteen years ago. 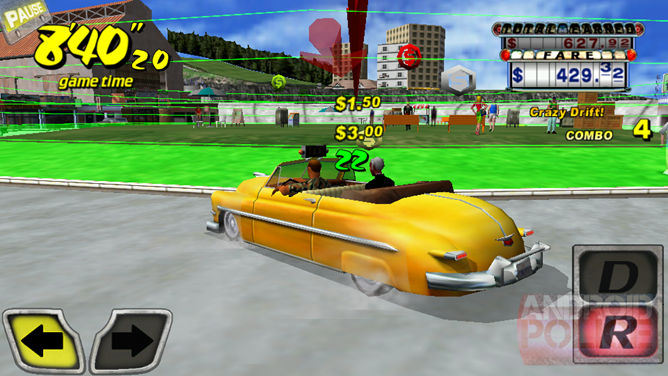 Surprisingly, the arcade format of Crazy Taxi lends itself well to mobile play. You can go for a quick run by arcade rules, or work for 3, 5, or 10 minutes for a more extended experience. When Crazy Taxi hit the arcades it was the cream of the graphical crop, employing SEGA's new Naomi "Dreamcast in a box" system to make all the other games look like crap. Today its graphical presentation looks understandably dated: it's certainly not the worst-looking Android game around, but the flat textures and minimal lighting effects aren't going to turn any heads. The best you can say is that it looks as good now as it did then. Frame Rates on both my Snapdragon-powered DROID RAZR M and the newer Galaxy Note 8.0 with its Exynos quad-core were consistently in the 50-60fps range, even with a ton of traffic and pedestrians on-screen. Even my dusty Nexus 7 did reasonably well, somewhere in the 35-45fps range. Sound is another matter altogether. 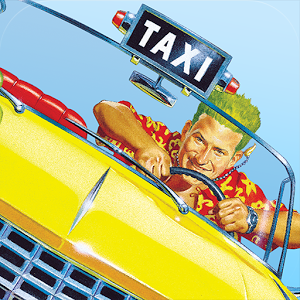 Crazy Taxi alumni will be happy to hear that the original Bad Religion and Offspring soundtrack is preserved (all six songs of it). Various incarnations of Crazy Taxi through the years have omitted these songs, and while they're not exactly classics, they mesh with the gameplay in a surprisingly efficacious way. That said, if you really care about the music, bring a pair of headphones: the combination of a punk rock soundtrack, screaming pedestrians, and a mono speaker is not a good one. The Play Store description mentions that you can use your own playlists for music, but the only options I found was to completely disable it. 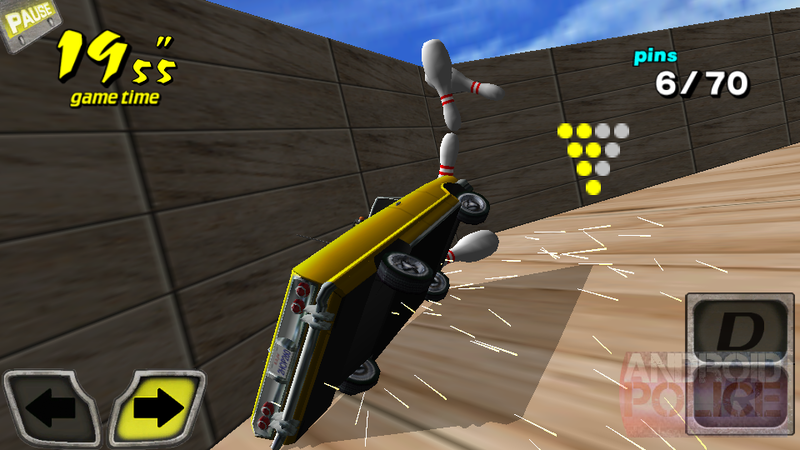 Control is the area where Crazy Taxi was most likely to fail spectacularly on Android. As noted above, it's not an easy game, and back in the day some people couldn't even make the adjustment from an arcade racing wheel to a console controller. I'm happy to report that the game manages the transition to mobile with surprising grace. It's not exactly a slam dunk, but veterans and newbies alike should be able to adjust to on-screen controls with relative ease. The simplicity of the game lends itself well to a mobile port, in a way that previous SEGA titles like Jet Set Radio couldn't manage. The default control scheme has just four buttons: drive, reverse, and left or right. Double-tap the Drive button for a quick slam on the accelerator, and double-tap either direction to initiate a drift. Simple, but effective. 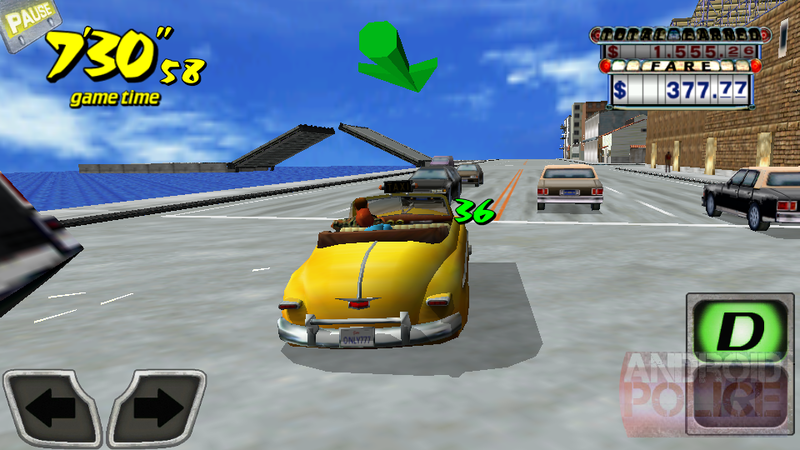 Controls are tight and responsive, and while it's no substitute for physical controls, a player who's used to virtual buttons should have no trouble adjusting, despite Crazy Taxi's habit of overcompensating with its cartoon physics. There's also an option for tilt controls, but I wouldn't recommend it - it requires a button-press for drifting that's incredibly hard to aim. 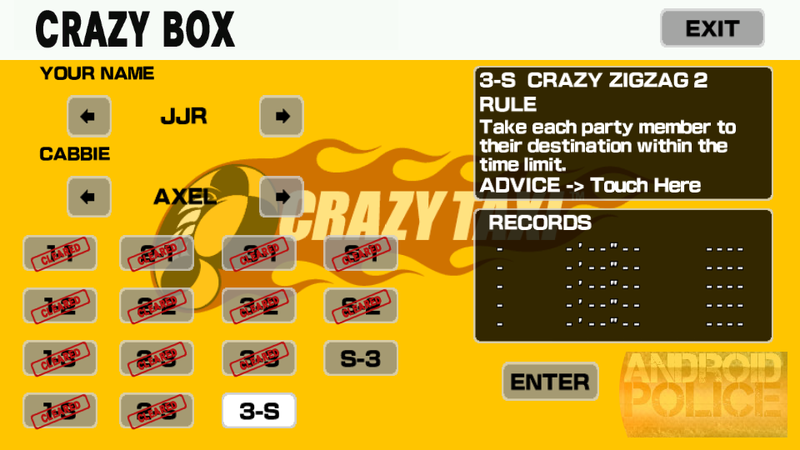 Fortuitously, SEGA has also seen fit to include hardware control options for Crazy Taxi. Those of you with a Sony Xperia Play or MOGA controller will find that the game controls more or less as you'd expect, though it's a bit tricky to get a quick burst of speed - make sure you're pressing the control stick forward at the same time as you accelerate. While I wasn't able to complete all of the Crazy Box mini-games like I was back on the Dreamcast, I managed to get pretty close using the MOGA. Any HID-compliant USB or Bluetooth controller should work. 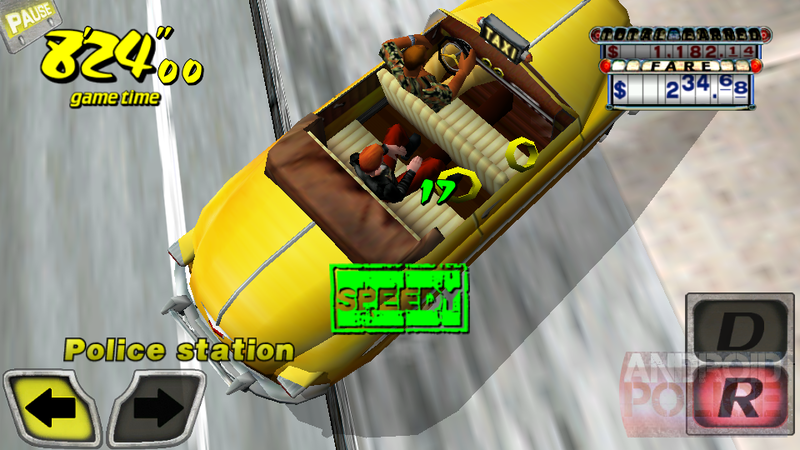 Crazy Taxi is just about as close to a perfect port as it could be - Square Enix, take notes here. The only real addition to the game that isn't a necessary part of the mobile platform is a brief option to share your scores on Facebook, and that can be safely banished and never heard from again. Playing Crazy Taxi on my phone is like holding a tiny window into my teenage years... in a good way. No stars, no in-app purchases, no waiting for the game to let you play. Just good old-fashioned fun. New players may be put off by the difficulty inherent in the original game, and you won't like it at all if you're not a fan of driving games in general, but everyone else should find something to love. 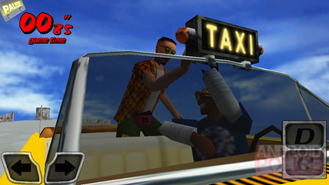 Whether you plan to play the game in short arcade-style bursts or obsessively complete every objective and unlock that elusive rickshaw, Crazy Taxi is an easy recommendation, and well worth its $5 asking price. I only hope SEGA sees fit to bring more of its classic Dreamcast titles our way. P.S. SEGA, I will pay you anything you want for a decent Android port of Skies of Arcadia. Anything. Just do it already.